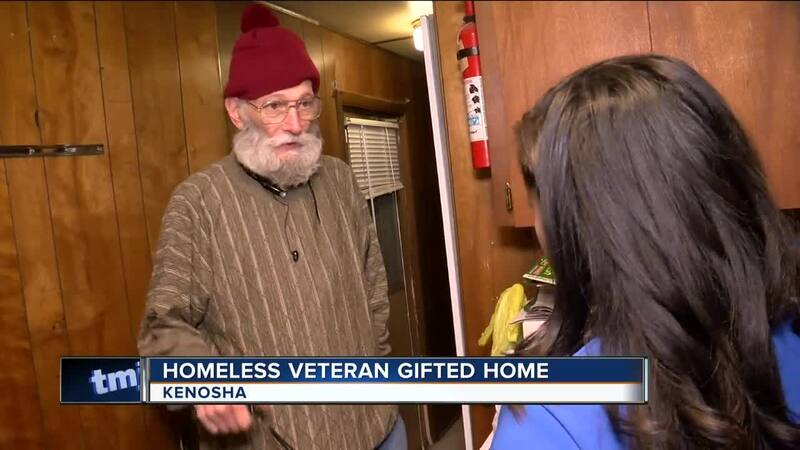 A homeless veteran has a new place to call his own thanks to a Kenosha man. When Rick Parker's mother passed away in April, it left him mourning her loss. He decided to sell her mobile home but then came up with a better idea, donate it to a homeless veteran. "We just want to give all glory to God because we wouldn’t have come up with this without his inspiration," said Parker. Rick and his aunt Tracy Marth, contacted the Kenosha County Veteran's Services Office, who selected Michael to receive the gift. "We just feel like we can pay it forward a little bit," said Tracy Marth, Rick's aunt. Last week Thursday, Michael received the keys to his new place. "It was touching. He’s so appreciative," said Parker. The home is completely furnished and Michael is working on making it comfy him and his dog. "It is just me, by myself with my dog. It couldn’t be any better," said Michael. Rick hopes Michael's story will inspire others to give generously and look after our veterans. "We really need more people to step up and do the same thing," said Parker. "Help a veteran out. They paid more of a price than anybody ever knows," said Michael. Michael is now searching for a part-time job.